Paula is a bilingual Spanish/English educator with a passion for community building. She waited until just after she finished a graduate degree in Education to run away with the circus! Her journey as an acrobat and coach started in Argentina, then led to her living and teaching in 3 countries and traveling to 26 more. As co-founder of Circus of Smiles, she oversees school based enrichment programming and supports developing educators. Her strong belief is that any skill can be taught with a social emotional focus and a little imagination. Tyler loves to laugh and is thrilled to be spreading joy through the performing arts. He holds a Masters in Education from UC Santa Cruz and a rubber chicken from the Clown Conservatory in San Francisco. Tyler co-founded the internationally acclaimed physical comedy troop Pi, and has taught for some of the premier circus institutions in the US, including: The Prescott Circus, Kinetic Arts Center, and Circus Smirkus. Through Circus of Smiles, Mr. Mustache (as he is known on stage) has performed family-friendly circus shows for thousands of families in the US and as well as on tour through Asia, Central America, and South America. Amelia is thrilled to be joining Circus of Smiles, and finessing the funny with young clowns! 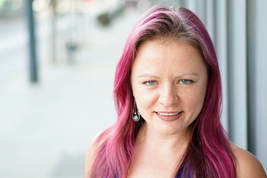 She has taught clowning and physical theatre with the San Francisco Shakespeare Festival, Mission San Jose High School, and continues to teach at Kinetic Arts Center. Amelia choreographed and taught partner acrobatics to young actors for the Civic Arts Stage Company’s production of Ramayana. She graduated from Dell’Arte International’s Professional Training Program, and founded AlulA Ensemble, a theatre company fusing physical theatre, puppetry and circus. Kelsey recently returned to the Bay Area and is excited to teach with Circus of Smiles! A CA native and San Francisco Clown Conservatory graduate, Kelsey has been traveling the world with Cirque Du Soleil performing as a clown. She holds a BA in Theatre Arts from UCSC and has taught clowning and other circus arts with Circus Smirkus in Vermont and most recently with 888 Monkeys. Kelsey has taught people all over the world how to fall down without hurting themselves...yet she can’t master that art herself!! She is so happy to be back in the foggy city, teaching others the things she loves. Colin hails from the windy city, where he began his circus journey while studying theatre at the Chicago College of Performing Arts. 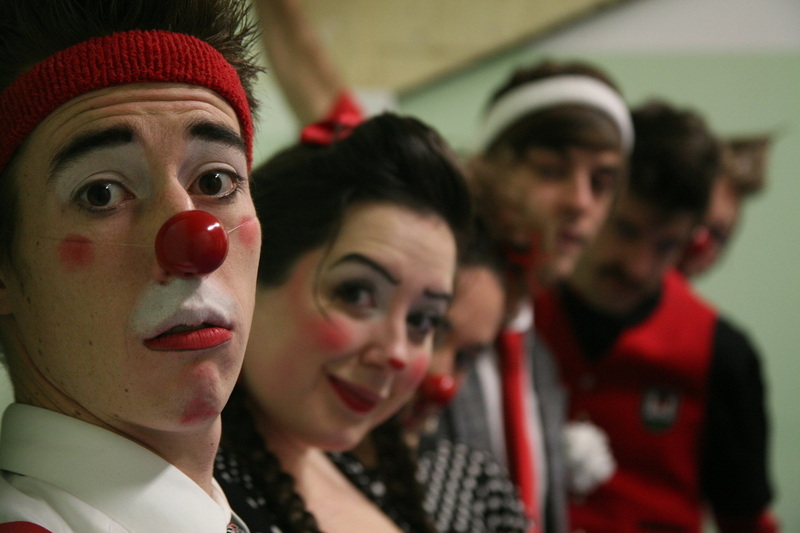 A semester long course in narrative circus arts led to 8 years of global circus adventure. Colin spent 7 years teaching for CircEsteem and the Miramanov School of Acrobatics as an equalibristics and clowning coach. This work opened him up to international contracts in Europe, India and to a whirlwind East-coast tour with Circus Smirkus over 2 consecutive years. Colin has only recently transplanted to the bay and is over-joyed to be working at the Circus Center and with Circus of Smiles. Marieke grew up doing circus at Kinetic Arts Center in Oakland. As a teenager she performed with Circus Smirkus where she fell in love with the community and adventure of the circus and decided to pursue it professionally. Performing, teaching and learning have become the main motifs in her life. As she bounces from city to city she enjoys meeting different communities and seeing the different ways kids learn and grow. The importance of play, perseverance, and exploration, values she learned from circus, propel her forward and she loves to share them with kids. She loves to inspire students to try new things, accept challenges, and let their hearts lead the way. She has taught for the Flying Gravity Youth Circus in New Hampshire, Aloft Circus Arts and Meirmanov Sports Acro and Circus Arts in Chicago, and the Cirque Us across the East Coast. She is happy to return to the Bay to teach at Kinetic Arts Center and to join the Circus of Smiles family. Ana has been studying flow arts, circus, and dance for the last seven years of her incredible journey in performance arts. She has worked with a wide variety of clients, ranging from full scale music festivals such as Lucidity Festival and Enchanted Forest, to the Halloween Haunt at Great America. Ana is also a devoted circus teacher. Her classes are based in theory, drill exercises, and dance fusion, and are tailored to give students the building blocks necessary to create their own individual expression. She has taught at festivals, the Boys and Girls Club of America, and for Techsplosion after school programs. Leah is an undeniable clown, and has circled the globe performing with the internationally renowned physical comedy troupe, Pi. 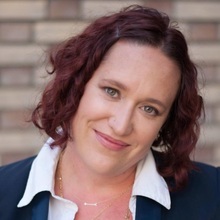 Leah has worked professionally as a director, stage manager and house manager with companies including: The 5th Avenue Musical Theatre, Teatro ZinZanni, Shakespeare Santa Cruz, Cal Shakes, The Mark Taper Forum, BrickaBrack, 42nd Street Moon, Cabrillo Stage and The Studio Theatre. She has taught clowning and juggling for close to seven years and recently joined the teaching staff at Tomorrow Youth Repertory in Alameda, CA, which is an organization devoted to teaching musical theatre to kids. A native of the Atomic City, Leah transplanted to the West Coast in 2000. After graduating from the University of California at Santa Cruz, where she earned dual degrees in Politics and Theatre Arts, she attended the Clown Conservatory in San Francisco. Julia hails from a small island in the pacific northwest where she sang, danced, and acted her way through childhood. She took those passions with her across the country to Smith College in Massachusetts and began her career working with children. Julia has worked with youth in many different arenas including classrooms, summer camps, therapeutic programs, nannying, and academic centers. Julia quickly realized that the most meaningful and inspiring jobs that she had, were ones working with kids in a fun and creative way. If trying to locate Julia, you will probably find her in a body of water swimming, hiking in the woods, or playing the guitar and singing at local events. She recently finished a summer of assistant directing at Steve and Kate’s Summer Camp and can’t wait to start training the world’s newest and stealthiest ninjas! Heather works in as many mediums as necessary to accomplish her overall artistic visions. Her art represents strength, intellectualism, and the idea that with enough focus and dedication, anything is possible. Heather has a Masters Degree of Fine Arts from the San Francisco Art Institute. When she is not practicing her own art she is helping other artists create theirs, and loves to inspire people and teach new techniques. Some artists/art groups she has worked with are Peter Hudson, Laura Kimpton, Flaming Lotus Girls, and Burning Man. Check out her artistic portfolio here. Allison Allison has had a passion for moving and grooving from a young age; beginning ballet classes at the age of two and engaging in a multitude of other forms of creative movement classes throughout her life she now joins the Circus of Smiles Community excited to share her skills and passion for movement, learning, and entertaining. Born and raised in the SF Bay Area, Allison graduated from the University of San Francisco with a degree in Psychology and joins our team after over a year of teaching at JAMaROO Kids – a preschool enrichment program – where she taught dance, music & movement, and yoga to preschool aged kids. She feels that she has truly found her calling in life by working with kids and teaching them how to be comfortable in their own little bodies and gain the confidence and skills they need to be a kid in today’s world. In her spare time she enjoys photography, hula hooping, dance, yoga, bike riding, snuggling with her cat Sid, and enjoying the beauty the Bay Area has to offer! She recently purchased an ukulele and is teaching herself to play. Andrew hails from the Raisin Capital of the World. He has brought heaven to earth through laughter since his birth as a ten pound baby. Most recent bay area productions include Bay Area Children’s Theatre's Ladybug Girl and Bumblebee Boy, Boxcar Theatre's The Speakeasy, The Cutting Ball Theater's Ubu Roi, Portola Valley Theatre Conservatory's IPersephone, and Shakespeare Santa Cruz's The Taming of the Shrew & Henry V. In his spare time he performs nationally and internationally with his award winning physical comedy troupe, Pi, which he co/founded, alongside Tyler Parks, while studying theatre at the University of California Santa Cruz. Andrew is delighted to be working with Circus of Smiles and considers it a blessing to be a member of such a compassionate and authentic company. Sophia Rumasuglia is a Bay Area native who has been training in movement arts since the age of five. She has performed professionally with Joffrey Ballet in New York, Ballet Austin, Ballet Bernasconi, Bay Pointe Ballet, Emotion Arts, No Strings Attached, and Metamorphosis Ballet. Sophia is also a certified yoga teacher and holds a Bachelor in Performing Arts from St. Mary’s College. She finds great joy in sharing her love of dance and performance with younger generations and has been teaching movement arts to children for over eight years. She has taught with Academy of Classical Ballet, Bay Pointe Ballet, Alameda Ballet, Fitness in Transit, and San Francisco Dance Space. She is so excited to be joining the diverse, kind, and creative team that is Circus of Smiles! ​Bay Area born and raised, Leah has been performing and training in the circus arts for almost ten years! She decided to run away and join the circus and recently graduated from the professional training program at the Circus School of Quebec city. In between performing and training across Canada and the US Leah discovered her love for teaching. She is passionate about sharing the joys of circus and silliness with kids and showing how enriching movement and play can be. Leah is so excited to be a part of the Circus of Smiles team and work with such a positive and fun company! Ever since Keefe first watched his first poorly dubbed Hong Kong movie, he fell in love with martial arts. He would practice Chuck Norris inspired crescent kicks and cheesy leg sweeps from rented videos for hours in the backyard. As a young adult, this passion outgrew itself to exploring Western boxing and its technical aspects. When a hand injury put boxing on hold, Keefe decided to overcome this temporary inconvenience with kicks by taking up taekwondo. Keefe continues to pursue many styles of martial arts including kung fu, judo, karate, and Boran. Shara is an improviser, actor, clown and teacher. An alumna of the Stanford Improvisors and San Francisco Circus Center’s Clown Conservatory, Shara performs with Un-Scripted Theater Company, Minerva, Mona and Shara Do Improv, Bay Area Children’s Theater and Bay Area circus shows. This fall, she was invited to clown at the 2017 AEMI International Comedy Festival in Shanghai. She teaches improv at BATS Improv, Collective Capital, Un-Scripted Theater Company and Aragon High School. As an improviser and clown, Shara believes that laughter is the best daily vitamin and that playfulness is an essential quality to cultivate in people young and old. She never turns down the opportunity to play a game, and she is so excited to be a teaching artist with Circus of Smiles!